You may have clicked on this article thinking, “why does this matter?” or perhaps out of annoyance, but how people perceive the dwellings in their community can have some real and possibly unpleasant consequences. What do I mean by that? Well, Victorian is a period in history and not a single architectural style. The many styles from that period in the U.S. are mostly from after the Civil War to about 1910. But if to your knowledge all homes built during that time are “Victorian style,” then it may seem reasonable to not get too upset over a few more losses—since there seem to be so many of them. We provide visitors with information about the history and architecture of Port Huron and its surrounding communities: Township of Fort Gratiot, Township of Port Huron, and Marysville. Historic Preservation laws, regulations, agencies, organizations, and other related helps can be found at this site. We exist to serve the individuals and organizations in the communities listed, assisting with history property research and preservation questions. Serving the region's history interests through a professional journal will also be a goal and project of this group. Incorporation and federal 501(c)3 status are coming soon. For more information, or to provide information or support of any kind, please use one of the contact forms found throughout the site. Thank you! for providing office space and related costs! 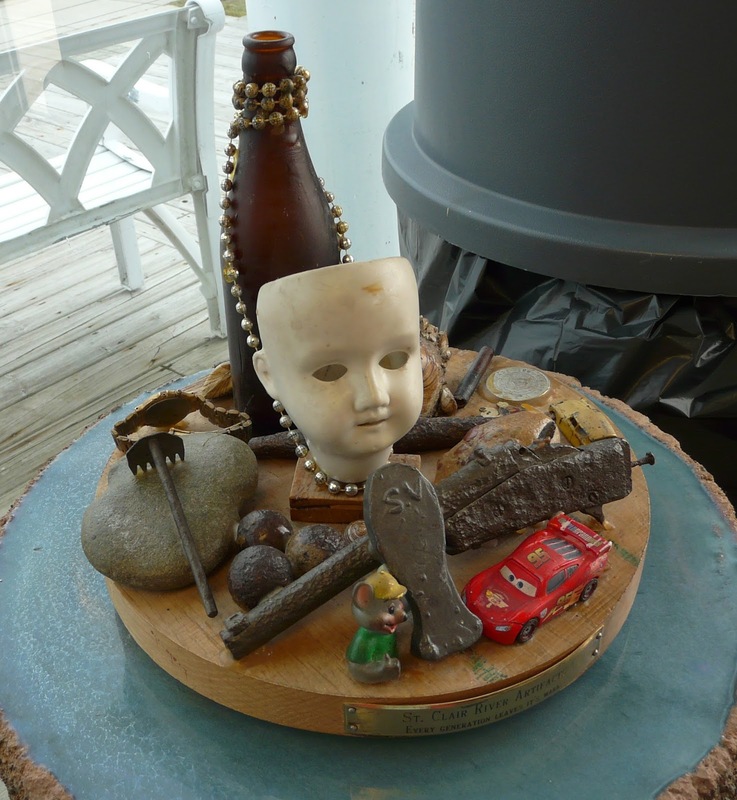 Recent generous monetary donations came from Brenda Williams and Lynne Secory. Donations and sponsorships are like water to us–without them, we just wouldn’t survive very long. Please consider donating any amount, or checking out our Wish List (a link in the About Us tab). Right now, we need operational cost funding (for volunteer and other insurances, for nonprofit status filing with the IRS, and basic operating expenses). ". . . in and around Saginaw, at Port Huron, on St. Clair river, are the largest and finest lumber districts in the West and Northwest." J. Disturnell, 1863: The Great Lakes, or Inland Seas of America (p 34). 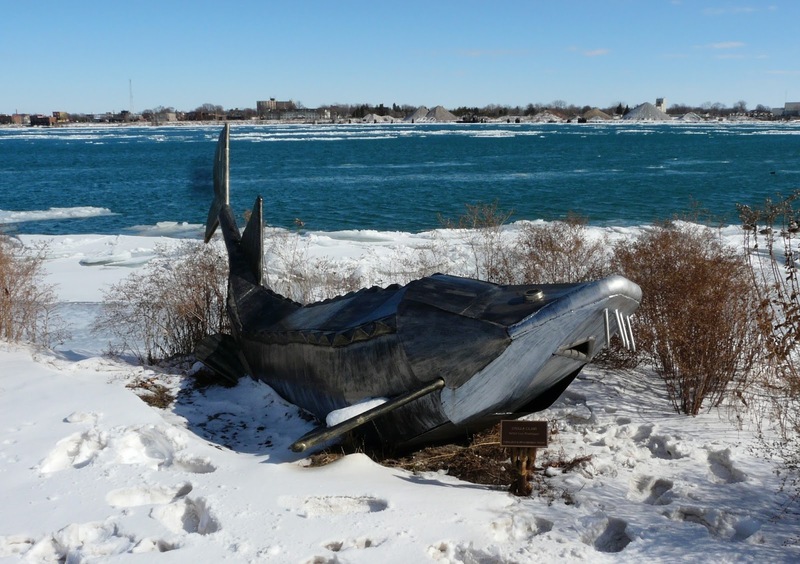 Sturgeon sculpture in Port Huron, along the River Walk.